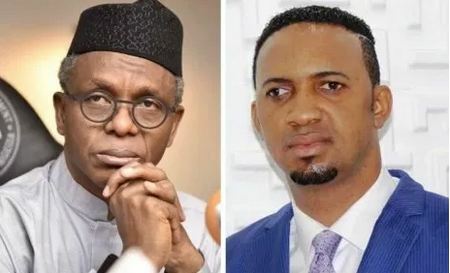 The General-Overseer of Mountain of Miracles and Liberation Ministries a.k.a Greater Liberation City, Pastor Chris Okafor, has warned Governor Nasir El-Rufai of Kaduna, northern Nigeria, to avoid persecuting Christians and preachers in the state or risk the wrath of God. Naija News reports that the clergyman’s warning to the Governor was in reaction to a bill at the state House of Assembly which seeks to license religious bodies. Apparently displeased with the bill Pastor Okafor fondly called “Talk and Do”, gave El-Rufai seven days to reverse bill or he would be visited by God. The Kaduna government seeks to create an inter-faith Ministerial Committee to be appointed by the governor which will exercise control over Jama’atu Nasril Islam, JNI, and the Christian Association of Nigeria, CAN, under the new order. This online news platform notes that the bill also bill ensures that the ministerial committee shall issue licenses to religious bodies without which the body cannot preach. The bill also stipulates that no external preacher can preach in Kaduna without a permit. Reacting to the development, Pastor Okafor in a video shared on his Facebook wall on Monday night, described El-Rufai as Herod, who cannot withstand the wrath of God. “Within two years of his re-election, God will visit him. So, it is better he listens to advise before it’s too late,” the Pastor also known as, “ The Oracle of God said. Pastor Okafor called on Christians to rise up to the occasion by praying against any war against the body of Christ noting that with the new law, there will be no evangelism.